Through the years people have sent me hundreds of cards and letters. I save every one of them, and I have posted a few of them here. Some of them may be helpful to you. The first letter is from the parents of a young girl in Omaha. 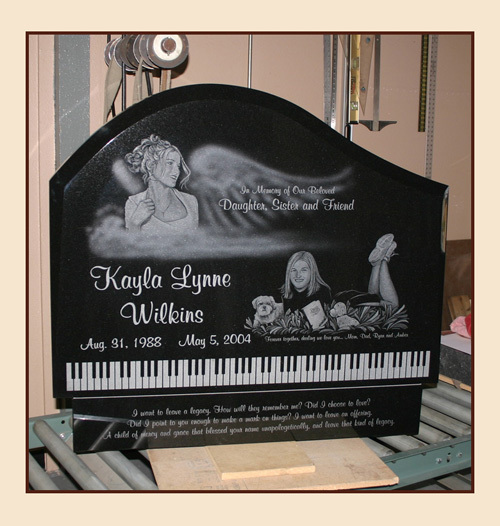 You can see her stone in the picture below. In the cemetery it lays flat, but I have it standing up in the photo so I could get a good picture. 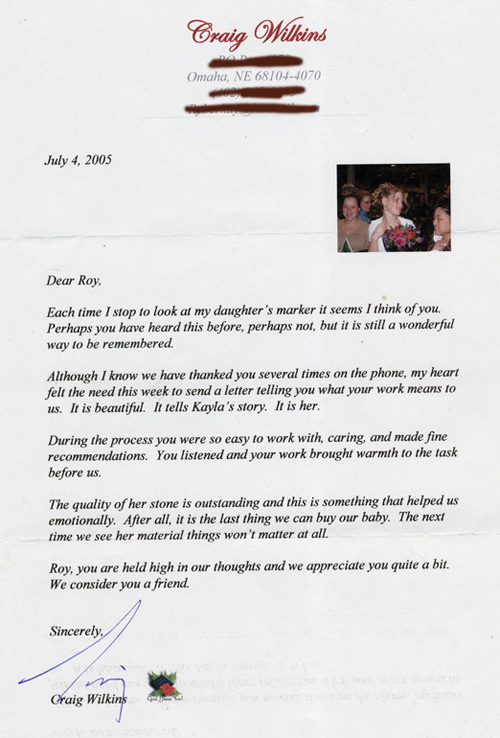 After the stone was set in the cemetery, I got this "Thank You" letter from Kayla's dad. Notes like the one below always make me feel like I did a really good job on the memorial. 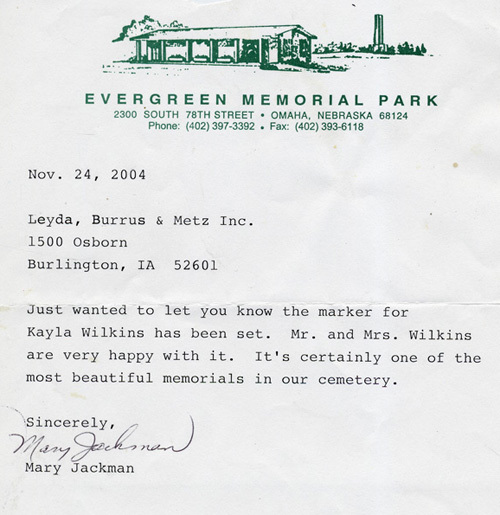 Then the cemetery sent me the letter you see below.